Ladbrokes online casino is a place where all your online gambling needs can be met. Ladbrokes has made a name for itself in the UK by being one of the top betting providers - and with their online casino they have used this vast experience to create an interesting and exciting environment for all types of gamblers. With over 540 games available by the click of a button you will never be bored when gambling at Ladbrokes. Signing up can be done easily through their website and if you make an initial deposit over £5 you will get a nice bonus that you can gamble with instantly. With Live Casino features, great promotions and an extensive platform offered by Microgaming - Ladbrokes casino is one of the top online gambling websites currently available. Ladbrokes casino can be enjoyed either through instant play on the web or via downloadable software which can be accessed at the Ladbrokes casino home page. I opted for the download version. Part of the download process includes filling in a registration form and setting up your Ladbrokes account. This took a couple of minutes and was completed while I waited for the casino software to install. Newcomers to Ladbrokes casino are rewarded with a welcome bonus. At the time I signed up it was worth up to £500 depending on how much you put into your account with your first deposit. Deposit £5 - £50 and Ladbrokes will match your deposit and you are allowed to use your bonus on any of the casino's games once requirements are met. Initial sums of £51 - £250 will also receive 100% but the bonus, once achieved, can only be used on a limited amount of games. The same applies to the top echelon bonus of £251 to a maximum of £500 but requires less of a turnover to achieve. I received £40 bonus from my initial £40 deposit. Ladbrokes has an astonishing 540 plus games in its arsenal. This means that everyone is going to find something that they like. 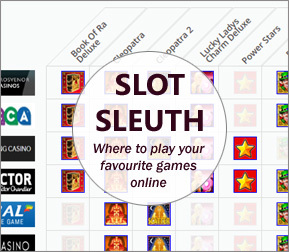 This vast inventory of games includes roulette, table games, video slots, video pokers, jackpots, traditional slots and more. Playing the downloadable casino means games have to be installed which takes around one to two minutes. The graphics and sound are solid and the game play is smooth which makes for an enjoyable experience. There is a great live casino option where real-life games are streamed down the internet allowing you to play with a real dealer. There are three live games available: blackjack, baccarat and roulette. During the registration process, Ladbrokes asks you to select the method you wish to use to deposit funds into your account. Like registering this takes a matter of minutes. Players can choose between credit and debit cards or they can use eWallets like Moneybookers, Neteller or Paypal. I used my Visa debit card, which required a minimum deposit of £5 to get started, to deposit £40 into my account. The transfer was instant and I was able to play straight away. Ladbrokes has a very thorough customer support set up which allows you to contact them any time of the day if you are need of technical support or have any questions that need answering. There is a self-help section but should you not find what you're looking in there you can contact Ladbrokes by phone from inside or outside the UK. If your inquiry doesn't require an instant solution then you can email Ladbrokes for answers. There are six departments you can contact so if you have a specific requirement or problem then you can identify which of the six might be able to give you the best information. Ladbrokes has a comprehensive bonus programme which includes a different bonus for every day of the week. On top of these daily offerings there are others that are updated on a regular basis. When signing up you can opt to be kept abreast of all the new deals that Ladbrokes launch. For loyal and long-term members Ladbrokes has a VIP Club. To become a VIP Club member you need to deposit, purchase and play over 7,500 chips per month and be easily contactable so you can benefit fully from the scheme. As a member of Ladbrokes' VIP Club you receive entrance to the VIP Lounge, VIP rewards, VIP events, VIP promotions and your own VIP loyalty manager.